2 Bedroom Flat For Sale in Loughborough for Asking Price £109,950. WOW FACTOR VIEWS! 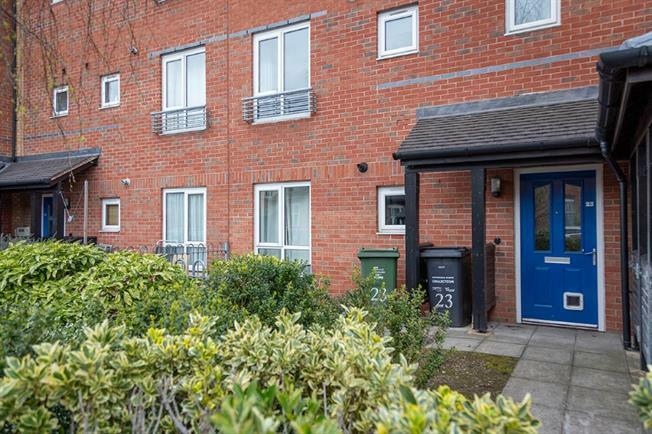 We are proud to bring to the market a fantastic two bedroom, ground floor apartment with allocated parking, private and separate entrance, well maintained front patio AND a balcony with canal views. This apartment has a lot to offer! Briefly comprises; large lounge diner with a window to the front elevation and patio doors to the rear leading onto the balcony. Recently fitted modern kitchen with both wall and base units. Bathroom with over head shower, two bedrooms with canal views and fields beyond. Call to arrange your viewing now and avoid disappointment. Large entrance hall with storage cupboard. Modern kitchen diner which has been recently fitted and finished to the highest of standards. Window to the front elevation over looking the front patio area. Spacious lounge diner with dual aspect outlook. Patio doors to the rear leading onto the balcony. The balcony offers canal views and fields beyond. Master bedroom with ample storage space and window to the rear elevation. Window to the rear elevation. Modern bathroom with neutral wall tiles and complimentary flooring. Shower over bath, wash basin and WC.